BONUS! Heather created an easy step-by-step guide helping you create or grow a business with your smarts + your heart. This is a 6 step roadmap that will really help you kickstart your 2018 goals. See the box below to download this FREE roadmap PDF. "The Savvy Business Roadmap: 6 Checkpoints to Create a Business with Your Smarts + Your Heart"
Her business, The Savvy Community, helps women create and grow a savvy business that combines their smarts and heart. She believes business should fit into your life, not the other way around, which we can all agree is refreshing and absolutely necessary to cultivating a happy life. 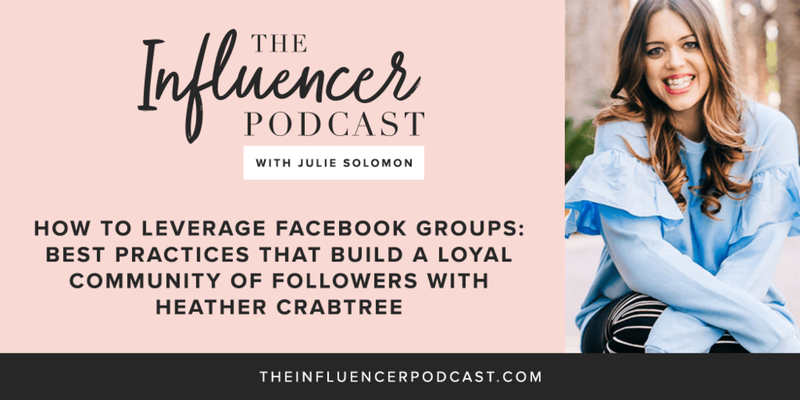 In today’s episode, Heather explores the impact Facebook has had on her business, how perspective and prayer are two things she constantly turns to, and how to build a brand and life with a sense of balance. Consider other platforms outside of the Instagram world. You have to use what makes sense for you, your community, your lifestyle, and your brand. In terms of long-term growth for your business, get back to basics. Engage with people. Care for clients. Build relationships and focus on providing an amazing experience. Build a foundational, sustainable business, not just an influence. Enjoy heading into the new year feeling inspired and full of motivation to further your business in an authentic way courtesy of Heather!